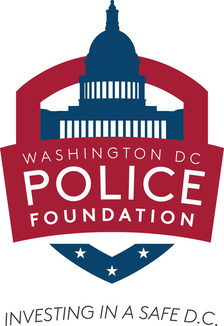 On February 6th, 2017, Patrick A Burke accepted the position of the Executive Director of the Washington DC Police Foundation after finishing a term as the U.S. Marshal for the District of Columbia, a position he was appointed to by President Obama after serving as the former Assistant Chief of the Metropolitan Police Department of D.C. (MPDC). Burke was nominated by President Obama in February 2016 to the post of U.S. Marshal for D.C., and the U.S. Senate voted to confirm his appointment in May 2016. As the U.S. Marshal in D.C., Burke had oversight over security details for 145 Federal Judges, the fugitive unit and warrant squad operations. Prior to that, Burke served in the MPDC for 27 years, where he attained the rank of Assistant Chief in the Strategic Services Bureau. He resigned as U.S. Marshal for D.C. last week to assume this position. 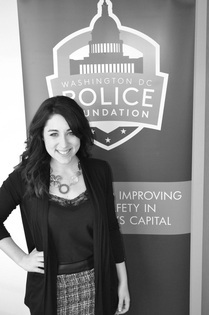 Rebecca Schwartz joined the Washington DC Police Foundation on November 4th, 2013 and is currently the Director of Development and Operations. Her responsibilities include managing the overall operating procedures of the Foundation, marketing and coordinating the Foundation’s events, programs, grants and all community involvement efforts. Rebecca previously lived in Virginia Beach, working in business development for an operational and tactical distributor for the military and government. She is originally from Upstate New York, where she worked in community development and event coordinating. Rebecca studied Business Administration and Communications at the State University of New York at Geneseo and is very excited to be part of the Foundation’s team.